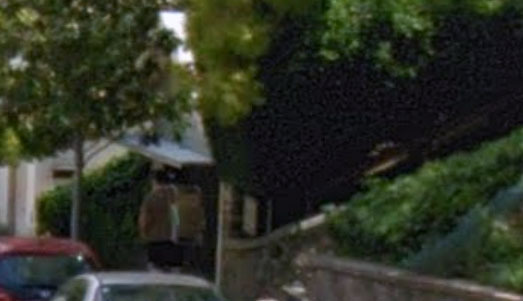 It was a few weeks ago that I was heading down the front steps of our house to return a folding chair to its storage place in the garage when at that exact moment I looked up to find a Google Streetview camera car passing by on its southbound way down our street. So I waved. In a way I guess you can say I’ve been Googled. Oddly, the image in the middle of these two shows the garage door fully down and me nowhere to be found. Now ya see me. Now ya don’t. 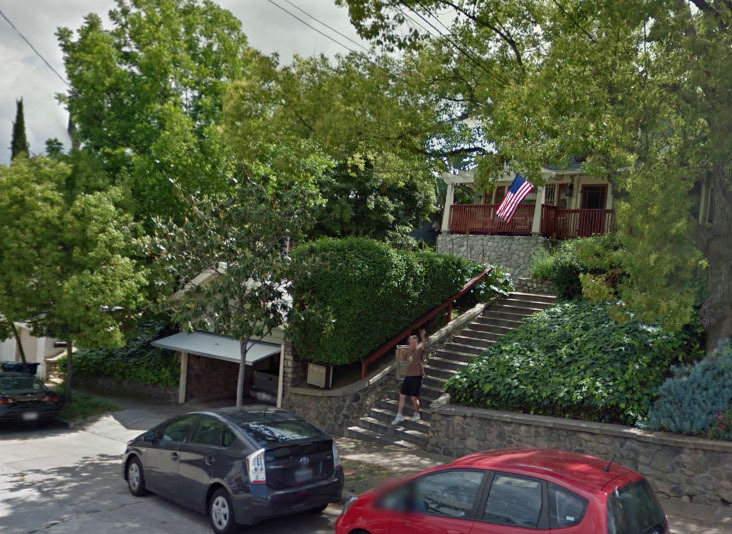 This entry was posted on Thursday, June 30th, 2011 at 6:49 am and is filed under internet, neighborhood, photography. You can follow any responses to this entry through the RSS 2.0 feed. Both comments and pings are currently closed.